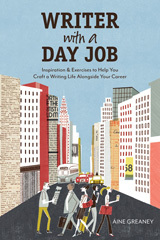 Here’s an interesting new book, “Writer with a Day Job”. I found it listed on the Writer’s Digest website and I thought that someone finally captured the reality of being an aspiring (or even published author). Through my trials as an aspiring writer, I’ve discovered that I’ll never be able to quit my job and write full-time. It’s a great fantasy to have but it’s not realistic. The reality of being an aspiring writer is that I have a day job. I’m also a husband and a dad. Those are my priorities and not to mention taking care of a house (inside and outside). Whatever time is leftover, I try to write and that’s usually in the morning. I’ve had some success writing at night but lately it’s been tough. With a new job, my brain has pretty much cashed out on me by the end of the night. That’s why I’m wondering if Aine Greaney’s book might provide some direction. I have a second child on the way in October and I’m a quarter of the way through my second novel. The challenge I made to myself was to have the first draft finished before then. I’ve stalled. Writing comes down to discipline, but if there are ways to work smarter not harder, I’m in. Make the most of your writing time early in the morning or late at night. Harness the power of your lunch hour for writing, editing, and revising. Use your commute—driving or riding—to power your writing. Plan the perfect writing getaway. Set goals, revise your work, and share your writing with coworkers. Any reviews on this book? Send them my way! After reading The Girl With The Dragon Tattoo, I decided to rent the movie. Turns out the movie is a huge hit, but not bigger than the book. The movie version was made in Sweden and I’m probably in the minority when I comment that it was just OK. The reviews on Netflix and Rotten Tomatoes are really positive so go figure. I give the movie credit for trying to incorporate most of the book, but certain aspects of book are left out. If I didn’t read the book, I would’ve thought this movie didn’t make any sense. There are a number of plot gaps and underdeveloped characters. Moreover, a lot of back story gets lost. The Vanger family has a number of dark secrets but the movie only concentrates on Harriet. Despite all that, the movie clocks in at about 2-1/2 hours. If you haven’t seen the Swedish version yet, you might want to sit tight till December when the Hollywood version comes out. What the movie does get right is the Lisbeth Salander character. She’s the best part of the book and definitely the highlight of the movie. The movie captured just what I thought the character looked like. There is some of her back story missing from the movie but enough that I didn’t feel cheated. TGWTDT is second Swedish film I’ve seen over the course of a year. The other movie was Let The Right One In. I’ve commented on this movie and book in a previous post. As usual, I loved the book and the movie was just OK. Again, Swedish film making leaves a lot to be desired. By no means am I qualified to critique directors or actors, but these Swedish movies are…slow and dull. For some reason though they get great reviews. Why is that? What does the rest of the world see that I don’t? Maybe I’m just a product of Hollywood slick movie productions. Maybe my untrained brain can’t process Swedish art like others can. Or more likely my preference of the book outweighs any enjoyment I could have watching the movie. Progress on my new novel has been slow. I haven’t written much over the last two weeks. It’s my fault – I let myself get too easily distracted. The Chicago Bulls are in the Eastern Conference playoffs, I’m focusing on my health, and other things I use as excuses but aren’t. I read on another writer’s blog that the difference between published authors and ones that are not is hard work. It’s obvious but it’s something I haven’t been doing. 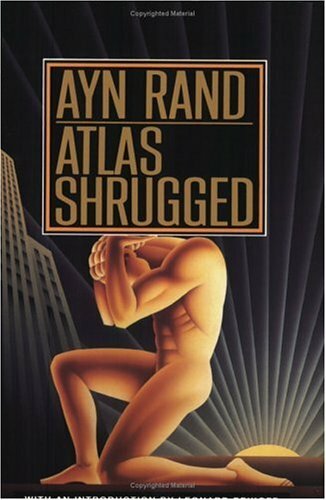 The movie for Atlas Shrugged came out this weekend, and I’m motivated to read the book. I prefer to read the book then the movie (Water for Elephants comes out this month!). I’ve never tried it the other way although I wouldn’t mind getting my hands on The Godfather or The Shining. Like all books that become movies, if Atlas Shrugged the movie is sub par, I don’t want it to ruin my reading experience. I’ve heard nothing but great things about the book so I know I won’t regret the time investment. Movie wise, I’m hearing mixed reviews. Rotten Tomatoes didn’t have anything too positive. I’m hearing and reading a lot of words like “low-budget” and “unfamiliar cast” which never spell anything good for a movie. In this situation, it’s the message that’s important. I understand the movie to be the anthem for conservatism . I guess, it depends on who you talk to. Ayn Rand wasn’t a Republican, but she wasn’t a Democrat either. I’ve learned she was an individualist and devoted much of her efforts to fighting communism. I can get behind that. I worry the book does a better job conveying the message of limited government and self-reliance while the movie is preachy in the same regard and turns people off. I’ll have to wait and find out. 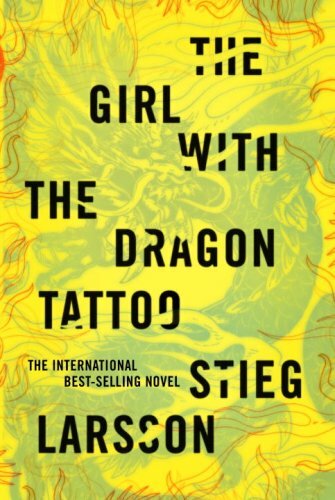 I know that Atlas Shrugged has been regarded as one of the best novels of the 20th century and can’t wait to discover it – right after I’m done with The Girl With The Dragon Tattoo. I recently came across a song on my iPod that got my creative juices flowing for a short story. “Ice Cold Man” is a song by Probot, which the side project of Dave Grohl from the Foo Fighters. Turns out that Grohl is into metal and a few years ago decided to enlist a who’s who of metal vocalists to record an amazing metal album. I love it! So “Ice Cold Man” is one of those songs that’ll grab you. The lyrics are beautifully apocalyptic. The guitars are slow and haunting and match equally creepy vocals. To top it off the song ups the tempo about halfway through with a juicy solo. Metal fans can certainly appreciate this gem. 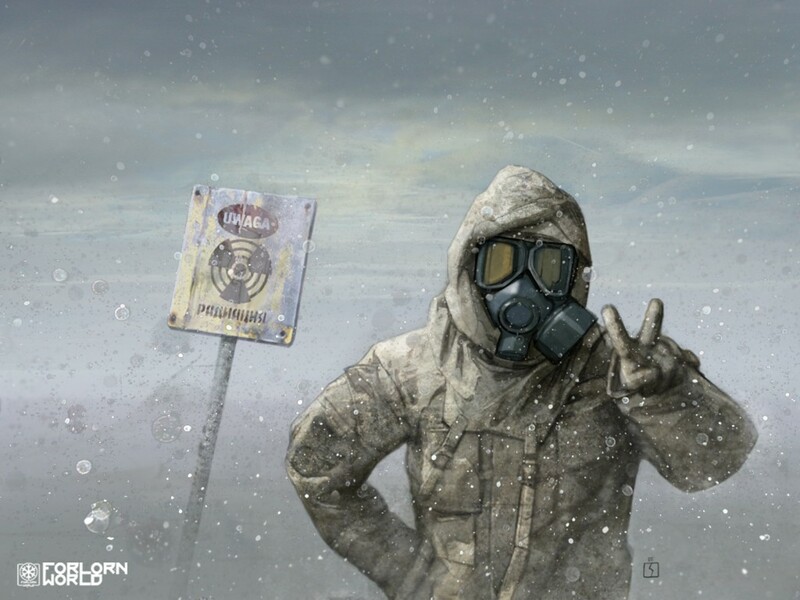 If I’m interpreting the song correctly, “Ice Cold Man” is about the last man on earth in a nuclear winter. The apocalyptic imagery is strong. 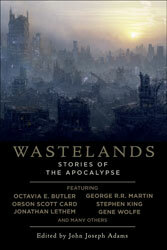 The song isn’t about how the nuclear winter happened, but it’s more about what’s left. Powerful stuff and it has me influenced me to try get some writing done outside of my novel. A lot of my writing energy has gone to my novel. Taking a detour might be just the thing to prevent novel burnout down the road. I’m always curious what inspires people to write novels or short stories. For me, it’s not always music, but the news, movies, talking to people. I guess I’m always paying attention and if I see or hear something I start to envision how I draw out a story. 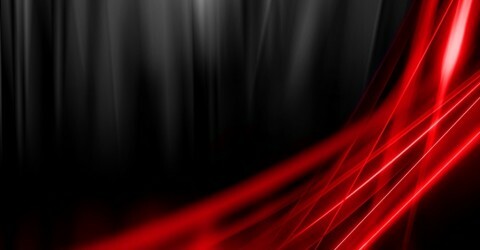 I’d like to see what inspires others to write; drop me a line! 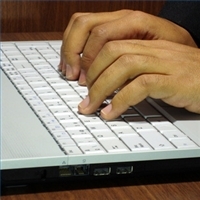 As I’m writing, I’m focusing on a few things: conflict, word count, and avoiding perfection. I’ve discussed the first two in previous posts and now can elaborate on avoiding perfection. I sometimes had a hard time writing, not because of writer’s block, but because I wanted perfection from myself. It’s a tall order for someone who doesn’t have a published book let alone an agent. I put a great deal of pressure to write perfect – every time. Every sentence had to magical and each page resulted in literary genius. It’s just not possible. I continue to challenge myself to just write. Now, I’m not completely sloppy and irresponsible. I do my best to maintain form, proper sentence structure, and verb tense. I guess what I do is not second guess myself. I don’t try to spend five minutes looking for a better word for “laugh” when “laugh” works just fine. I’m not trying to draw out tons of description in a room; at least not yet. I’m sure when I edit my work for the first time I’ll find a bunch of punctuation and spelling issues that I can resolve. I’m willing to bet I’ll find a bunch of things that need to be fixed, but I’ll worry about them later. Right now, I’m writing. Getting my ideas down on Word so that a story can take form – that’s what I’m interested in. I’ll worry about achieving perfection once I have something to perfect. By the way, that’s the logo of the 1972 Miami Dolphins who were a perfect 17-0 which is an amazing feat to be perfect for that long. I would’ve shown a picture of the 2007 New England Patriots but they were only perfect during the regular season and lost in the Super Bowl. Bottom line, it’s important to be perfect when it counts. With my new project under way, I’ve commented in previous posts about time. I don’t have much of it and I’m actually OK with that. So when I do have time to write, I try to make it count. I believe I do my best writing in the morning. I’m refreshed, my mind is a lot clearer, and there are no distractions. Actually, there is one distraction, the internet. I’m tempted to check the news, facebook, and email. I try to allow myself a ten minute max, and I’m usually pretty disciplined. If I were more disciplined, I would sit down and start writing and not get so easily distracted. Baby steps, I guess. I digress because this post is about my word count in the morning. Before I start writing, I think to myself that if I can at least get 250 words I’ve accomplished something. Interestingly enough I usually surpass that most mornings. I know it’s not a lot. 250 words is a basically a one page Word document. But there have been mornings where’s hit close to 600 words, and on the flip side I’ve hit close to 200 words. I take what I can get and feel good about that. The word count approach keeps me focused and provides a goal for that morning. I didn’t try this technique on my last novel. I basically pushed myself through the novel and the pace was exhausting. Now, I’m dedicating sometime in the morning and then whatever time I get throughout the day is a bonus. Anyone have any other good goal writing ideas? I like to hear them.